When Jordan Abel began thinking about the book that became The Place of Scraps, published in 2013 by Vancouver-based Talonbooks, he thought he would write historical fiction. He wanted to find a way to work with the history of his Nisga’a Nation ancestors. The Nisga’a live in Western Canada and are known in part for displaying ancestral totem poles on their lands. Growing up, Abel felt that his ancestors’ stories weren’t available to him; he wasn’t even sure the stories had been preserved in any form until he came across Marius Barbeau’s Totem Poles in the University of Alberta library, where Abel was an undergraduate. But Abel didn’t end up writing historical fiction with the material he had gathered from Barbeau’s work; nor did he write in the two other genres, nonfiction or lyric poetry, that he also considered. 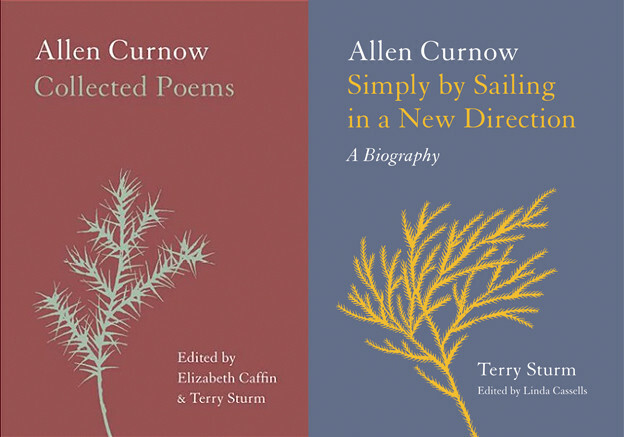 He ended up writing a book of poetry, using erasure as the main mode of composition. His book is structured by sections that begin with images of totem poles, as well as passages from either Barbeau’s work or entries from Abel’s journal. Abel then erases portions of these excerpts for the duration of each section. Barbeau, an anthropologist who was based in Ottawa during the early to mid-twentieth century, was one of the first descendants of white settlers to attempt a chronicling of First Nations peoples in Canada. Like much early anthropological work, Barbeau’s is controversial. Andrew Nurse, a Canadian scholar, claims that Barbeau’s work encouraged the Canadian government to view First Nations tribes, such as the Huran-Wyandot, as assimilated into white society. This view became the basis for the dismantling of the Huron-Wyandot reserve in Ontario, Canada. Today, the Huron-Wyandot have reserves remaining in Wendake, Quebec, and Wyandotte, Oklahoma. To remove this huge pole from the Nass [River], and transfer it to a museum thousands of miles away was not an easy job. Taking it down to the ground and shifting it into the water taxed the ingenuity of a railway engineer and his crew of Indians. It leaned sharply, face forwards, and had it fallen, its carvings would have been damaged … When it reached Prince Rupert, it had to be cut, as it lay in the water, into three sections, for the longest railway cars are 50 feet. Nor were all difficulties overcome after the three sections had reached Toronto. Barbeau’s interest in the taxing of the “ingenuity of a railway engineer and his crew of Indians” and lack of concern for the cutting of the poles suggests the kind of white entitlement Abel’s book highlights. The poems’ erasure calls our attention to the lasting effects of European settlers meddling in native peoples’ affairs. This interference, it turns out, touches the poet’s family directly. Abel’s father, when Abel was an infant, carved totems and made paintings to be sold for white audiences in Vancouver. Readers also learn that one of the totems sent to Toronto is from Abel’s ancestral village. About halfway through The Place of Scraps, Abel describes his May 2011 visit to the Royal Ontario museum to see his ancestral totem pole. When he arrived, he explained to the admissions officer that he wouldn’t pay to see a pole taken from his ancestors, at which point “the staff member [initiated] a lethargic request to allow admission under special circumstances but [was] unable to contact any of his superiors” (143). Abel, in the end, was apathetically granted his request. The commas, colon, semicolon, and periods bear the traces of the dragonfly. Abel has the eye of a sculptor: he creates by taking away from the slab of Barbeau’s text. The central irony of The Place of Scraps is that white settlers tried to assimilate — erase — First Nations tribes by wiping out their cultures, while Abel uses erasure to bring his ancestral history into view. Given that erasure as a poetic technique has become more popular, it’s important to ask who is doing the erasing and why. 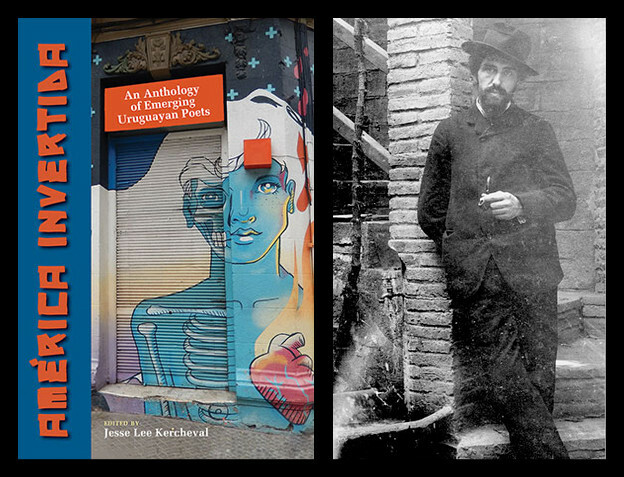 Tom Phillips’s A Humument: A Treated Victorian Novel seems to have had two main goals. One was to create an artwork, using painting, collage, and cut-up technique, out of a forgotten Victorian novel. He also wanted to create an oracle, in the tradition of the I-Ching. Although Phillips considers A Humument “an altered book,” a form of mixed-media artwork, it is often cited as a foundational erasure text. Ronald Johnson’s aim, in excising the first four books of John Milton’s Paradise Lost to produce the book Radi Os, was to “omit most of the text to create a Blakeian visual page and a new Orphic text of [his] own.” It’s worth noting that white men did two of the most famous books of erasure, one of a canonical book by a white author. Neither of those books erases works by authors of color. Their acts suggest a level of comfort with the boldness of erasure and with the canon. Abel’s erasure of Barbeau suggests a pronounced discomfort with the ways interpretations of indigenous cultures have been shaped by white viewpoints. In light of recent controversies surrounding white Conceptual work, one wonders about the role of discomfort in Kenneth Goldsmith’s presentation of Michael Brown’s autopsy as poetry, or Vanessa Place’s choice to use images of Hattie McDaniel and Jemima’s Wedding Day in her Twitter feed dedicated to posting sentences from Gone with the Wind. Do Goldsmith and Place’s projects project discomfort with their source texts and images in the way Abel’s work cites discomfort with Barbeau’s text as a legacy of white interference in First Nations life? Place has said that her goal with the Twitter feed was to incite a copyright dispute with the Margaret Mitchell estate, as a means of raising questions about ownership and authorship — and white supremacy. But Place has primarily provoked outrage over her feed’s regurgitation of the racist text. The Place of Scraps goes beyond discomfort. Its impetus involves anger, disappointment, and, importantly, an interest in reframing the discourses around First Nations culture. Abel has erased Barbeau’s text because he wants to understand who he is and who he comes from, including not just his ancestors, but also Barbeau and the myriad white settlers who have shaped his heritage. The mistake that some Conceptualists have made is thinking that any text can be erased by anyone and that sociopolitical concerns are outside the act of appropriation — and outside the text. Yet when an artist chooses a text to appropriate, whether through erasure or collage, there is more at stake. Abel’s work digs into and dismantles the problems his texts are meant to invoke. 2. Andrew Nurse, “‘But Now Things Have Changed’: Marius Barbeau and the Politics of Amerindian Identity,” Ethnohistory 48, no. 3 (2001): 433–72. 3. 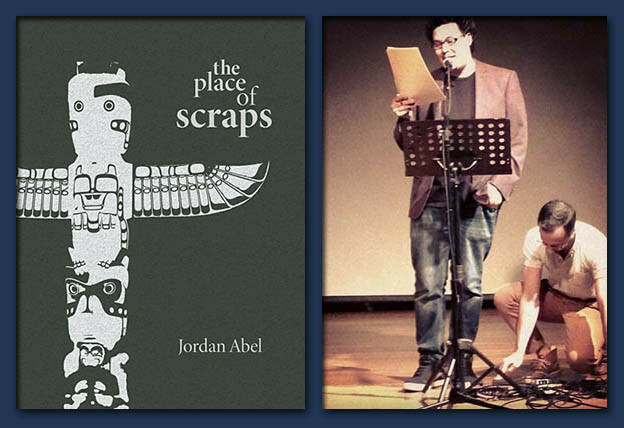 Jordan Abel, The Place of Scraps (Vancouver: Talonbooks, 2013), 19. 5. James Bridle, “Tom Phillips And A Humument: How A Novel Became An Oracle,” The Guardian, May 19, 2012. 6. Rich Smith, “Vanessa Place Is in a Fight Over Gone with the Wind’s Racism, But It’s Not the Fight She Says She Wants: An Interview,” The Stranger, May 21, 2015.